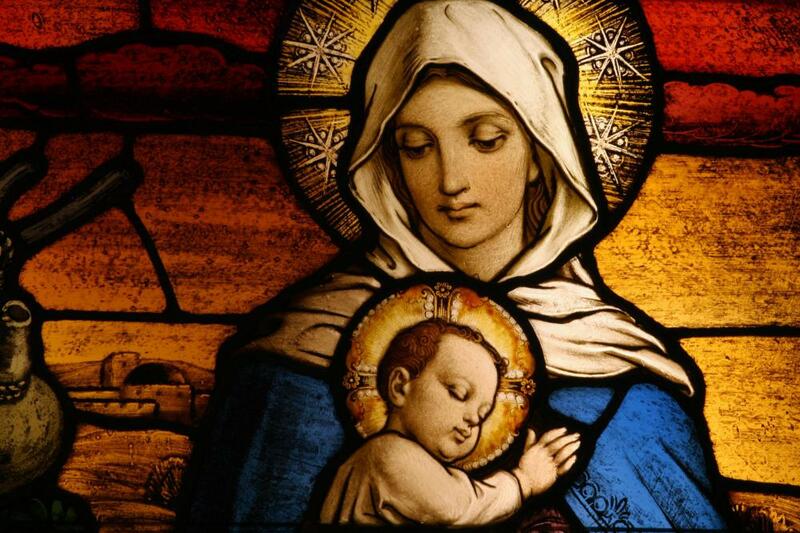 On the Cross, Jesus did not proclaim Mary’s universal motherhood formally, but established a concrete maternal relationship between her and the beloved disciple John and us all. (John 19:26-27) 26 When Jesus saw his mother there, and the disciple whom he loved standing nearby, he said to her, “Woman,[a] here is your son,” 27 and to the disciple, “Here is your mother.” From that time on, this disciple took her into his home. Our world is in turmoil right now, many of us have lost our way, people are leaving the church in droves , there is little or no regulation, relativism is growing, evil is destroying our nature – the nature that God gave us. We need to turn back to God Jesus and Mary our mother. 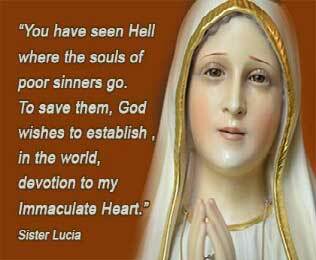 Mary, at Fatima in 1917, felt the need to make herself known to us because of the evil in the world. The thing is, nothing’s changed, if anything, we have not learnt by our mistakes. We need to consecrate ourselves to Her. Jesus showed us how He listens to Mary at the wedding at Cana, this is where Jesus performed His first miracle (John 2:1-11). 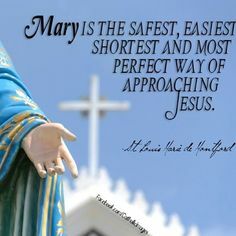 Mary is our link between Heaven and Earth, She can help you when you pray to Her. As we approach the 100th anniversary of the miracle of Fatima (13th May)- where Mary appeared to the three children on the 13th of the month till 13th October. there is more reason now to pray to Her. 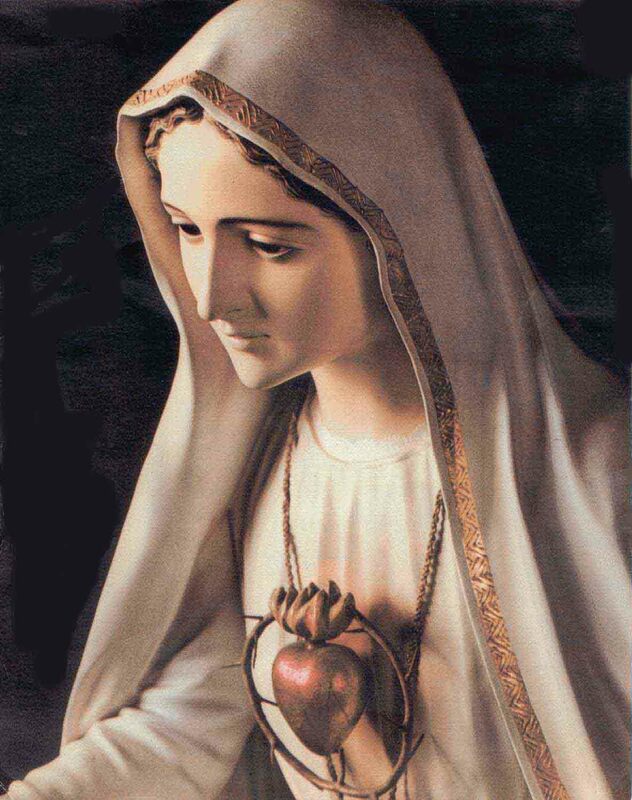 Mary gave us the miracle of the son at Fatima, this was witnessed by 70,000 people. Mary identified herself as our Lady of the Rosary. Mary is our intercessor that can help us through her Son Jesus Christ. Mary predicted, the end of the First World War and the prediction of the second. She also predicted Hiroshima, monks who were there, living the message of Fatima, were unharmed by it. Mary gave the three children visions of hell and told them that praying the rosary would prevent others going to hell. We’ve seen the end of the cold war, walls come down, Jubilee 2000 was a global campaign that led ultimately, to the cancellation of more than $100 billion of debt owed by 35 of the poorest countries. Many catastrophes have been prevented because of Mary, our intercessory prayers have reduced the time and effects of wars. Russia today has returned to international politics after it was consecrated to the heart of Mary. Saint John Paul II in St. Peter’s Square on 25 March 1984, for example, consecrated the world to the Immaculate Heart of Mary. More recently, Pope Francis in October 2013 consecrated the world to the Immaculate Heart of Mary in front of some 150,000 pilgrims in Rome. Thanks for the feedback if you like to read more please like me on Facebook. Thanking you for your feedback, please follow me for updates on more posts. I just love Mary, God has elevated her to queen of heaven Jesus gave her to us as our mother too. What a great intercessor we have in Mary. Thank-you for your feedback please follow me or like me on Facebook for more interesting reads. God bless. I’m glad you enjoyed it, Mary is our intercessor and I pray to her for help often. If you like what you read please follow me and like me on Facebook. Thank-you for liking my blogpost, it’s encouraging when others write positive feedback. If you like what you read please follow me and like me on Facebook. Thank-you for your positive feedback., please check my blog for more insightful posts. 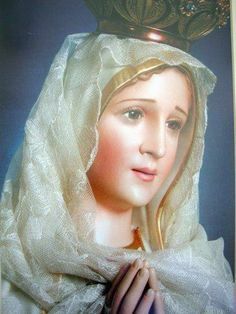 I don’t mind at all if you share, because I want as many people as possible to know the content and to pray to Mary for her intercession. Please come again. Thank you for another informative website. Where else could I get that kind of information written in such an ideal way? I’ve a project that I’m just now working on, and I have been on the look out for such information. I use Wrdpress and I can’t help you with hackers, you would have to inform your service provider. I liked as much as you will receive carried out proper here. The sketch is tasteful, your authored subject matter stylish. however, you command get bought an nervousness over that you would like be delivering the following. ill surely come more previously again since exactly the same nearly a lot ceaselessly inside of case you defend this increase. Thanking you for reading my blog, I’m not sure I understand what you mean. Thanking you for stopping by and your positive feedback, please come again. Thanking you for your encouragement. I love helping others to the truth, the truth that will set them free. Please come again. God’s blessings to you.